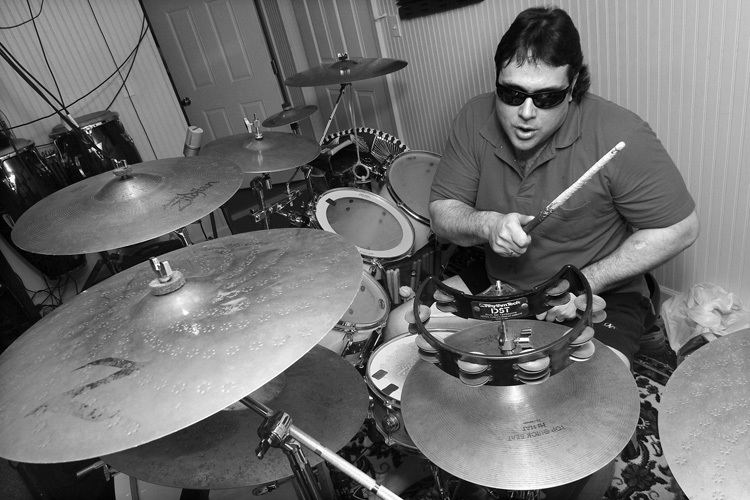 Marcus Padula, drummer for Deep Blue dJinn, lost his sight in an industrial accident when he was in his 20's. After the accident, Padula took up the drums. Today, Padula performs with the band in the Metrowest Boston area.